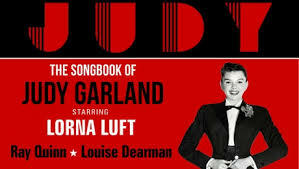 The Judy Garland story has been brought to the stage starring her very own daughter, Lorna Luft. Just like her mother, her voice and stage presence is electric, a little sea of charms and charisma which leaves the audience wanting more & more. Throughout the show we are lucky enough to hear 30 or so of her mother’s famous hits, some of which are performed by Louise Dearman and Ray Quinn; all the singing and dancing performances were top notch. The show also provides us with film footage of Garland’s career, & also interviews that truly highlight just how witty, smart, talented and funny a woman she was. One clip that stood out for me was in 1957, when she had composed a song for her daughter lorna, quite an emotional clip seeing Judy singing to her little girl which really got the audience going. Of course, with the show ending with the legendary footage of Judy Garland ‘Somewhere over the Rainbow,’ the finale was perfection, & I was crying as I left the building.